Coastal Heritage Bank, wholly-owned subsidiary of South Shore Mutual Holding Company, and Equitable Bank today announced the completion of their merger. Effective April 1, 2019, pursuant to the terms of the Agreement and Plan of Merger dated as of January 1, 2019, Coastal Heritage Bank and Equitable Bank will merge, with Coastal Heritage Bank as the surviving bank. As a result of the merger, Coastal Heritage Bank will have combined assets of approximately $850 million and customers of both banks will have access to fifteen banking centers located in East Bridgewater, Green Harbor, Hanover, Hingham, Marshfield, Norwell, Quincy (2), Scituate, Weymouth, East Weymouth, South Weymouth, Nahant, Kingston, and Lynn, Massachusetts. The merger will not result in any job losses or branch closings. 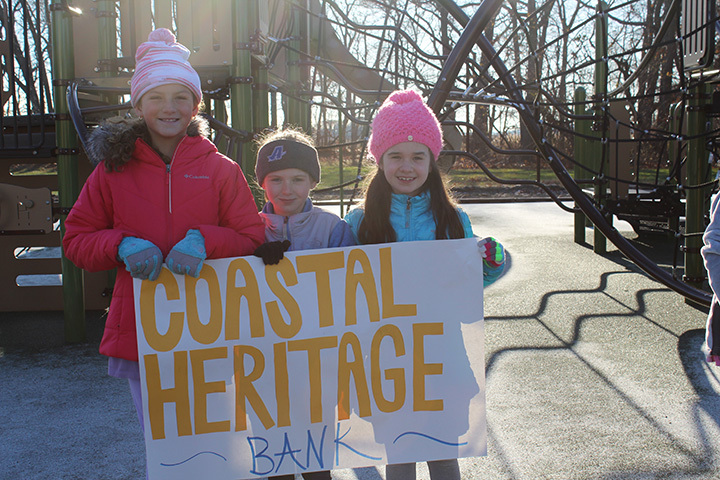 “Our combined Board of Directors and executive management team are pleased to announce the completion of the merger and look forward to implementing our shared vision,” said Robert W. Terravecchia, Jr., Vice Chairman and Chief Operating Officer of the combined Coastal Heritage Bank. East Weymouth and Weymouth, MA; August 14, 2018 — Equitable Bancorp, MHC (“Equitable MHC”), the mutual bank holding company for Equitable Bank (“Equitable”), a $332.9 million asset community bank headquartered in East Weymouth, and South Shore Mutual Holding Company (“South Shore MHC”), the mutual bank holding company for Coastal Heritage Bank (“Coastal”), a $517.1 million-asset community bank headquartered in Weymouth, announced today they have executed a definitive merger agreement to merge their institutions. The definitive merger agreement was unanimously approved by the directors of each institution. Under the terms of the agreement, Equitable MHC and South Shore MHC will merge under the “Equitable Bancorp, MHC” name and immediately thereafter Equitable and Coastal will merge under the “Coastal Heritage Bank” name. The merged bank will be headquartered in Weymouth. Equitable Bancorp, Inc. (“Equitable Bancorp”), the current mid-tier bank holding company of Equitable, will remain the mid-tier bank holding company of the merged bank. The post-merger executive leadership and management team of Equitable MHC, Equitable Bancorp and Coastal Heritage Bank will be drawn from both Equitable Bank and Coastal Heritage Bank. Joseph C. Hayes, Coastal’s Chairman of the Board, will serve as Chairman of the Board of Equitable MHC, Equitable Bancorp and Coastal Heritage Bank. Mr. Gill will serve as President and Chief Executive Officer of each entity. Mr. Terravecchia will serve as Vice Chairman of the Board and Executive Vice President of each entity and become President and Chief Executive Officer of each entity upon Mr. Gill’s retirement on or about April 30, 2020. The transaction is expected to close in the first quarter of 2019, subject to satisfaction of customary closing conditions, including the receipt of regulatory approvals and approval by the respective corporators of Equitable MHC and South Shore MHC. Luse Gorman, PC served as legal counsel to Equitable, and Nutter McClennen & Fish LLP served as legal counsel to Coastal. 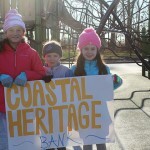 To combine the resources of Coastal Heritage Bank and Equitable Bank, to create a larger and more sustainable organization that, through the prudent stewardship of our Board of Directors and vision and hard work of our employees, will have the necessary resources to effectively serve our customers and community for future generations. 1. Who is Equitable Bank? In 2015, recognizing the need to grow in order to remain strong and competitive in an increasingly complex environment, the holding company of Equitable Cooperative Bank voted to merge into the holding company of Weymouth Bank – setting the stage for the banks to come together in August of 2016. The mission of Equitable Bank is to remain a community bank dedicated to developing long-term customer relationships in the communities of the North Shore and South Shore by offering high-quality products and superior customer service. Management will strive to provide a safe, profitable return on investment by focusing on prudent investment strategies that will be beneficial to the Bank, our customers, employees and the community. Equitable Bank has branch offices in East Weymouth, South Weymouth, Quincy, Kingston, Nahant and Lynn. In an increasingly competitive community banking environment there are vast benefits and economies of scale when two institutions merge to form one. Savings in compliance costs, auditing costs, and regulatory expenses to name just a few. It is also more efficient to expand an institutions branch network via a merger than through construction of new facilities. 3. What are some of the benefits to me? 4. When will the merger be completed? Regulatory approval was received in March 2019 and merger was complete in April 2019. 5. Will any branches close? No. And you will continue to be served by the same team of professionals you have come to know over the years. 6. Will my account numbers or debit card number change? We are working with our core data processor to determine if any account numbers will need to change. You will receive ongoing communication regarding the conversion process and if there are any impacts to your specific account numbers you will be contacted directly by bank staff. 7. What about online banking and the mobile app? Equitable Bank customers will be able to utilize their current user names and passwords to access the Coastal Heritage Bank online banking platform. Bill Pay payees will be transferred as well. The Coastal Heritage Bank mobile app will need to be downloaded on your device to access mobile banking. Again, existing Equitable Bank customers mobile banking user names and passwords will not change. 8. What about deposit insurance? Coastal Heritage Bank is a secure and well-capitalized bank and a safe place for deposits. All deposits are insured by the Federal Deposit Insurance Corporation (FDIC) up to $250,000. In addition, all deposit balances greater than $250,000 are fully insured by the Share Insurance Fund (SIF). 9. 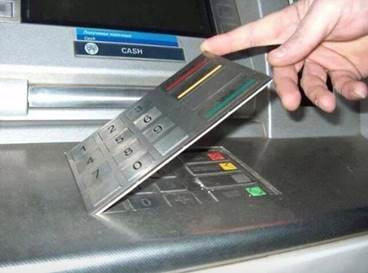 What about ATM access? After the merger is completed, Coastal Heritage Bank will be a member of Allpoint, America’s largest surcharge-free ATM Network with over 55,000 ATMs. 10. What will the name of the Bank be? The name of the combined bank will be Coastal Heritage Bank. 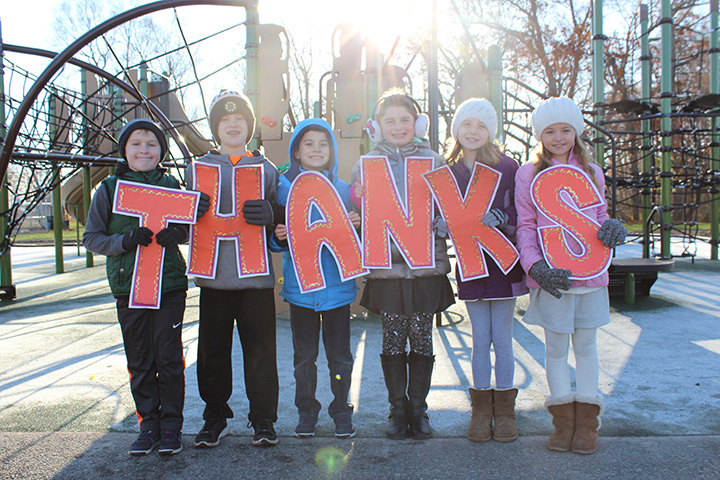 Over the past year Coastal Heritage Bank has donated over $50,000 to 106 different schools, non-profits, community groups and community events. Your Bank, Your Community – Growing Together! N. & S. Rivers Watershed Assoc. 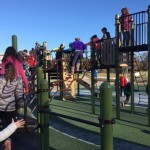 Coastal Heritage Bank, along with students, parents, staff, and other local business sponsors, gathered together on Monday morning for the grand opening of the newly constructed community playground at the Governor Winslow School in Marshfield. 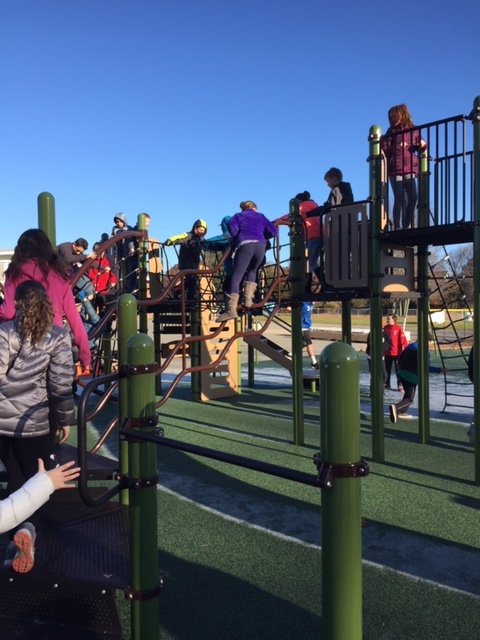 The Bank, the lead sponsor of the campaign to build the playground, was happy to support this wonderful grassroots effort.